Central VA Construction Inc. is locally owned by Matt Yeatman & Ronald Sanderson. 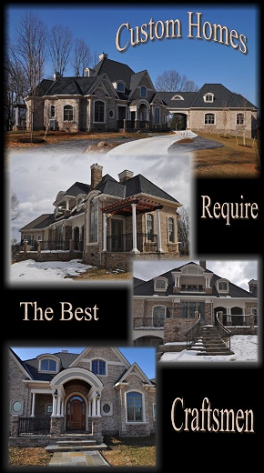 We specialize in custom homes and projects. We pride ourselves in that no two projects are alike. We have been building extraordinary structures since 1992. Our quality workmanship has earned us a reputation as one of the areas premiere contractors. We specialize in ground-up construction as well as renovations and remodel work. We, will build with you. No surprises. We work with you and can provide you with all services from the design to the finished product. We can manage all stages of your project. From the pre-design phase, through the construction and finish phase. We hope to form alliances with property owners for years to come. We strive to make the build process an enjoyable experience. We build every home as if it was our owns. These days we are seeing more and more home owners that want to put some sweat equity into their home, either to save money or make the home, more a part of their family.We will give you the supervision and support to help you tackle any task that you feel like trying to do yourself. Code Plus Construction, Energy Efficient Construction, and 2×6 framing are our Specialties!